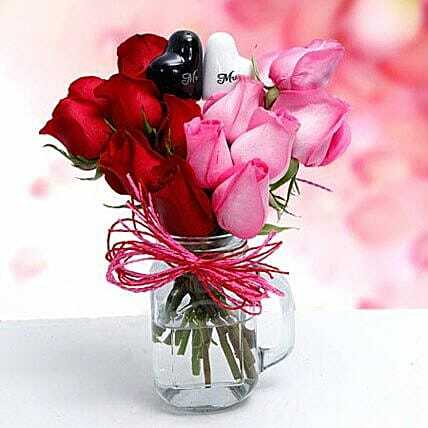 This magnificent arrangement of Red and Pink Roses placed in the mason handle jar makes a luxurious choice that can retain the sense of exclusivity. Additionally, the Mr and Mrs hearts that are together placed in a jar and embellished with Red and Pink bow is guaranteed to make your loved ones feel special and worthwhile with this extraordinary and stunning bouquet. Refer to the expiry date on the bottle and consume the beverage before that.